... and there will be ... erm ... may be ... cake! 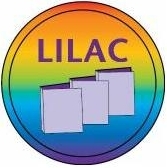 LILAC has over 200 volumes of short stories - romance, erotica, scary, humour - top shelf authors, New Zealand authors ... something for everyone, even those who can barely find time to read!. Our catalogue on LibraryThing has more information about these titles.